Here’s (almost) everything you need to build a retro gaming console using a Raspberry Pi computer, all from Amazon Prime! Don’t worry, we’ve done the work for you. Just choose your options from the list below and you’ll get the best deal/value available. You may be able to find cheaper options if you know what you’re looking for and take the time, but you’ll end up sacrificing quality, or worse yet (like me) get “paralysis by analysis” and end up not buying anything! Look around your house for some spare Micro USB cellphone chargers. Next, look at the small text printed on them to see how much current they deliver. Most chargers will deliver 1 Amp (AH), aka 1000 Milliamps (mAH), which is the bare minimum you’d want for a Pi. I haven’t had trouble with my 1 Amp charger, but your mileage may vary. Older charges, or ultra-cheap newer chargers, may only deliver 500 milliamps, which won’t even boot the Pi. If in doubt, get the 2.5 Amp power supply listed here. It even has a nifty power button which the Pi itself lacks. This is purely personal preference. Unless you want the look and feel of a retro-style case, just get the basic case included in either of the kits. Just about any 32GB+ MicroSD card will work, though faster is probably better. 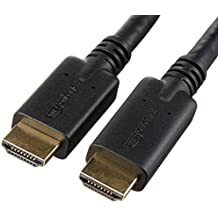 I’d recommend just using one from a console you already own, if you have one. Otherwise, grab the Buffalo listed here and you should be perfectly happy according to the reviews. I haven’t tested it because I have an Xbox One. No need for expensive brand-name cable from a big-box store. This part is really only necessary if you want to do more with the Pi. Tinker with Raspbian and Linux, add media center capabilities, you name it. Head over to https://retropie.org.uk/ and follow the instructions to download and install software onto your SD card. Here’s where we hit a legal grey area. Downloading game ROMs is technically piracy, so we’re not going to tell you how to do it or link to any files. You’ll have to do your own Googling for this part.